The Long-Awaited Second Album “Pain & Pleasure” By APOCRYPHAL VOICE Is Available Now! 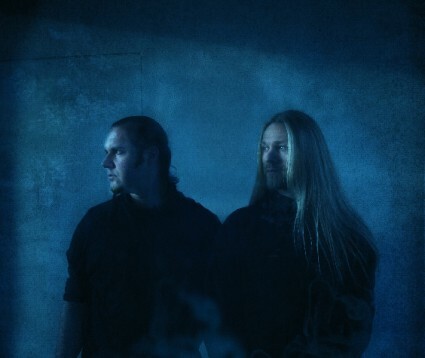 Apocryphal Voice was formed in 1999 by Juhani Jokisalo after having grown out both with musical taste and ambitions from a previous more conventional Dark Metal band, where he was the bassist. Rebellion against that moment’s Finnish Metal scene also played it’s part in giving motivation. “The Sickening” demo was recorded in late 2000 with Juhani and drummer Ville Salonen as the only band members. It contained 3 fiercely left-field Metal songs utilizing bare negative emotions. “The Sickening” found its way to the hands of label Rage of Achilles, who released it as such in 2003 as a mini-cd. The following full-lenght “Stilltrapped”, now leaning more towards a sort of depressive wintry Rock than black-based Metal, was self-recorded bit by bit during following years. Apocryphal Voice came to attention of Blut Aus Nord’s Vindsval who at the helm of Candlelight sublabel Appease Me, had arranged the release for “Stilltrapped” in 2007. The following songs ultimately ended up for the “Pain & Pleasure” full-length and began being composed arranged and rehearsed painstakingly, without any hurry. The new material formed out to have more vitality than before, Death Metal influences started creeping in and the sound production was sought out to have more earthly feel. The decision to release the album via distributor/promoter Inverse Records ensured the complete independence. Apocryphal Voice is impossible to pin down into any established genre or made to tamely serve any non-artistic usage. It is Metal music for true music lovers – those who wish to deeply explore harmonic tensions, structural narratives, and raw emotions, often discomforting ones too. This entry was posted on December 30, 2014 at 7:05 pm and is filed under Metal, metal bands, metal music, music news, rock music, rock music news with tags apocryphal voice, metal albums 2014, Metal News, metal odyssey. You can follow any responses to this entry through the RSS 2.0 feed. You can leave a response, or trackback from your own site.